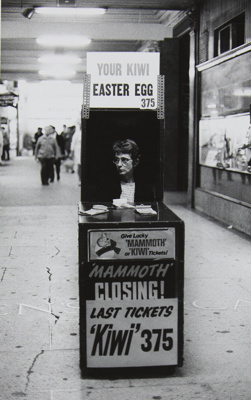 About this objectWoman sitting in a booth advertising “Kiwi” easter eggs and selling “mammoth” tickets. Three pads sit on a counter in front of her. Letters are on the floor behind the booth while, presumably, a storefront window is to the right of the booth.